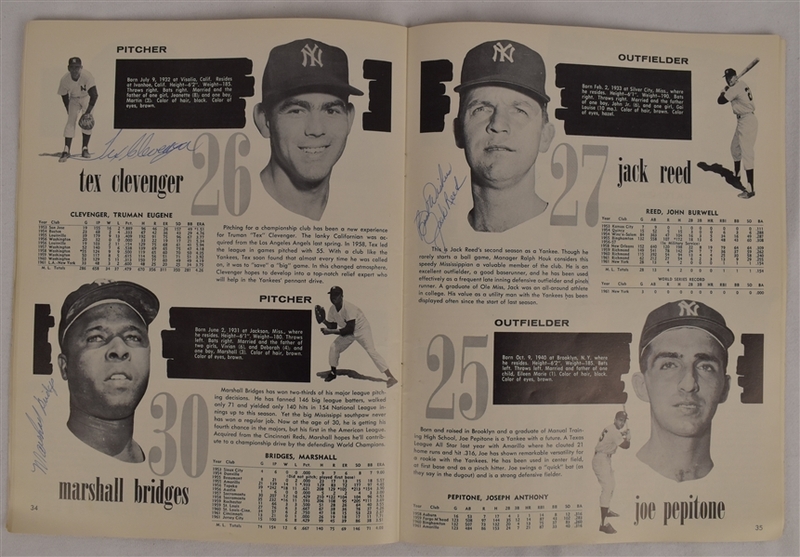 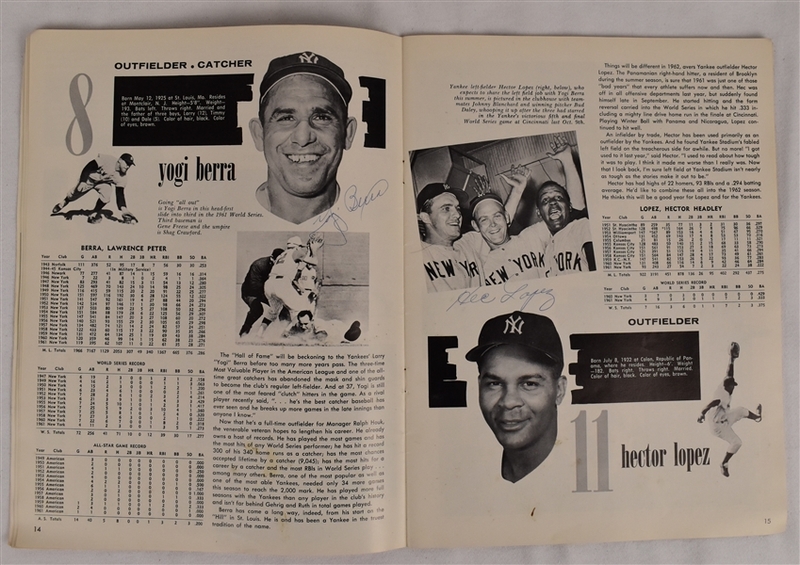 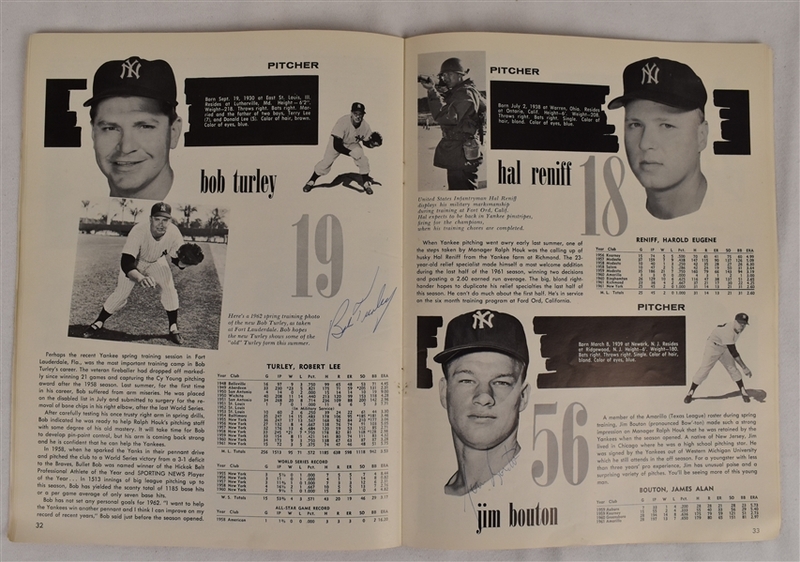 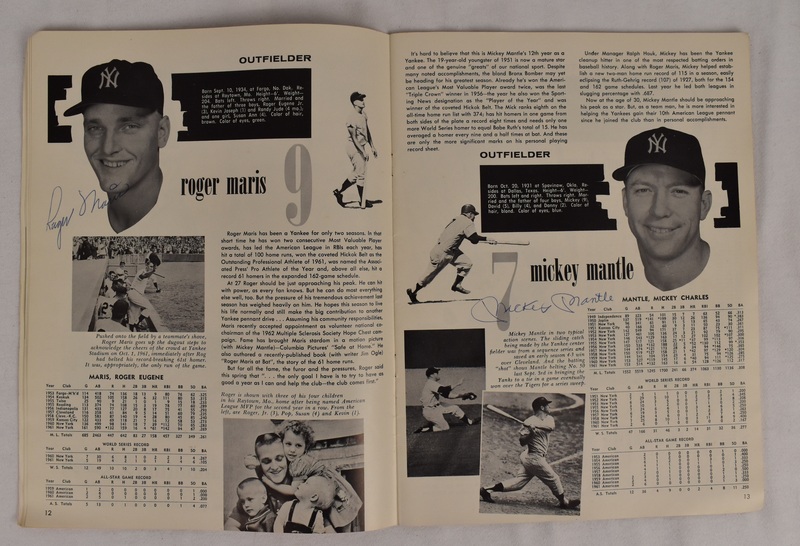 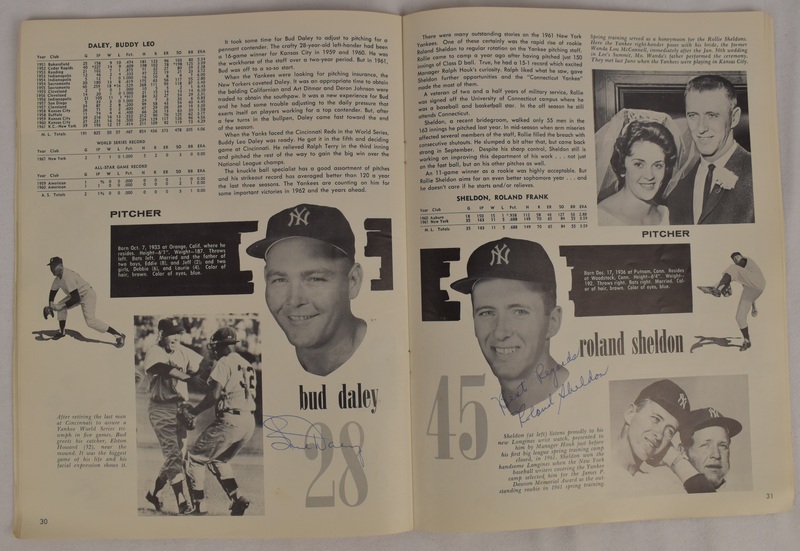 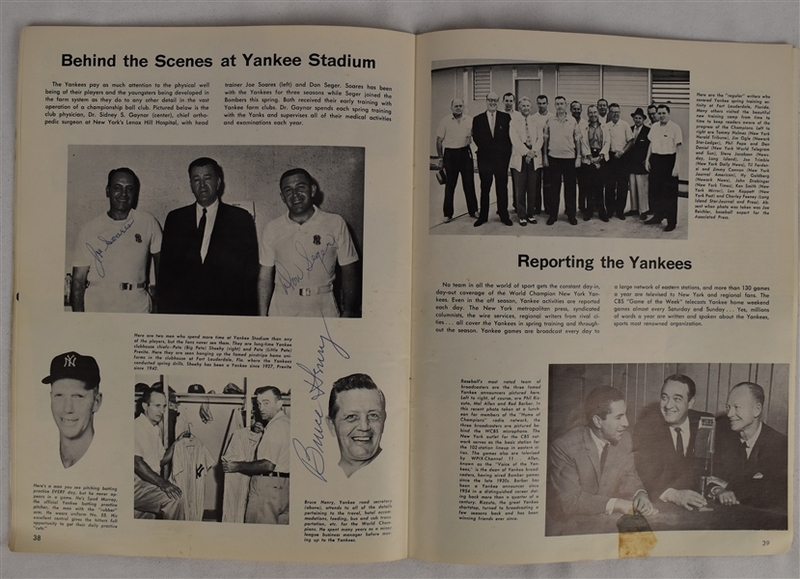 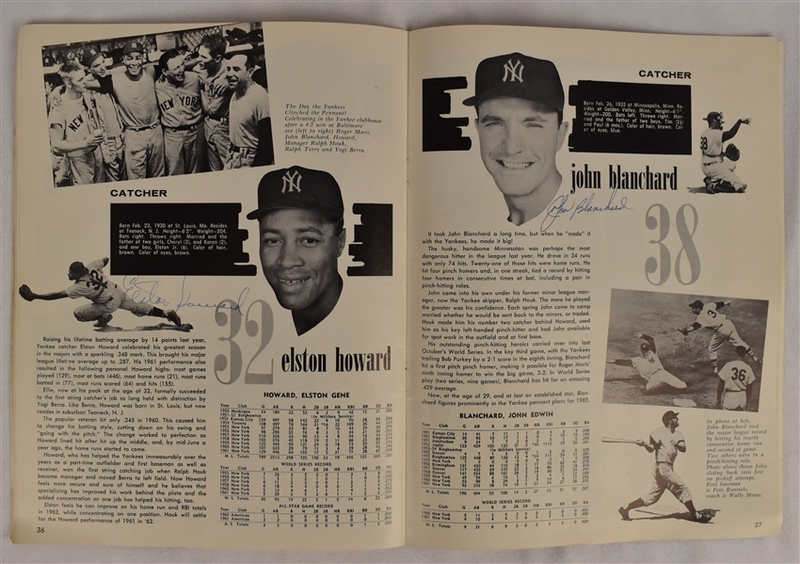 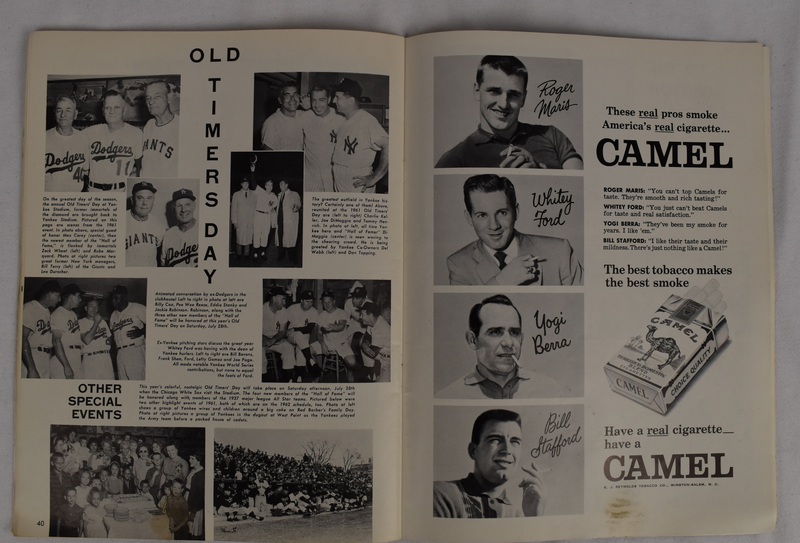 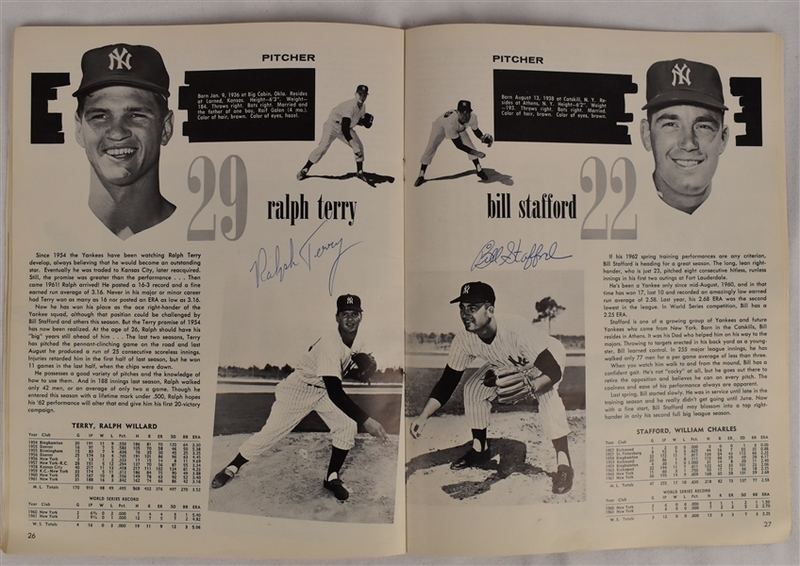 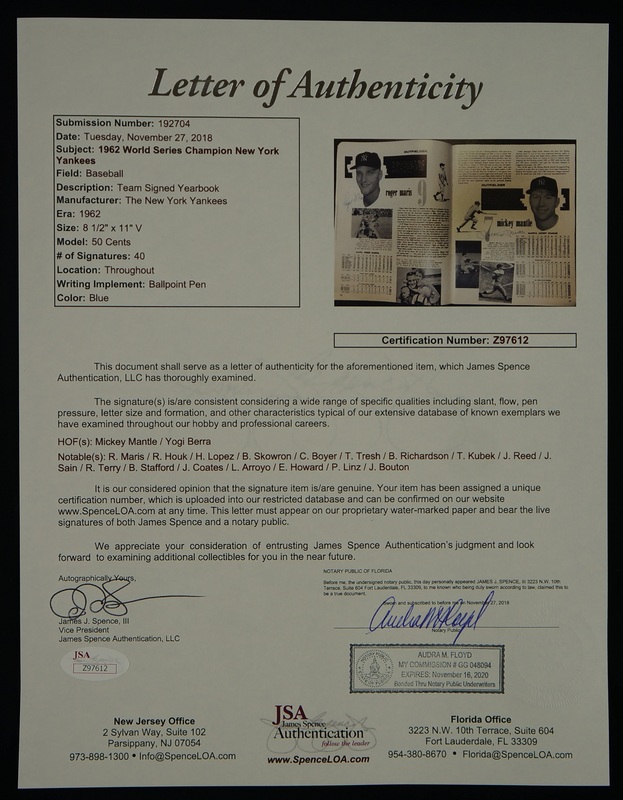 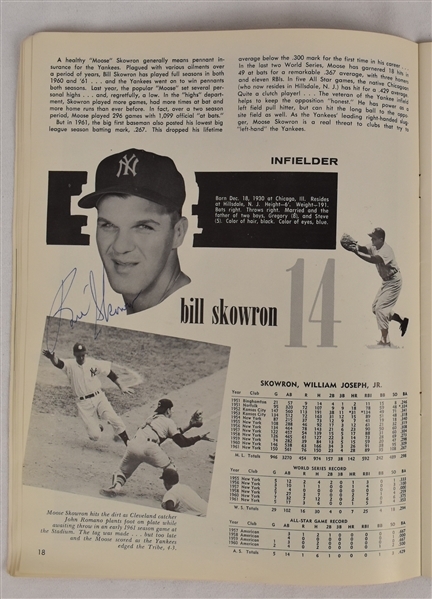 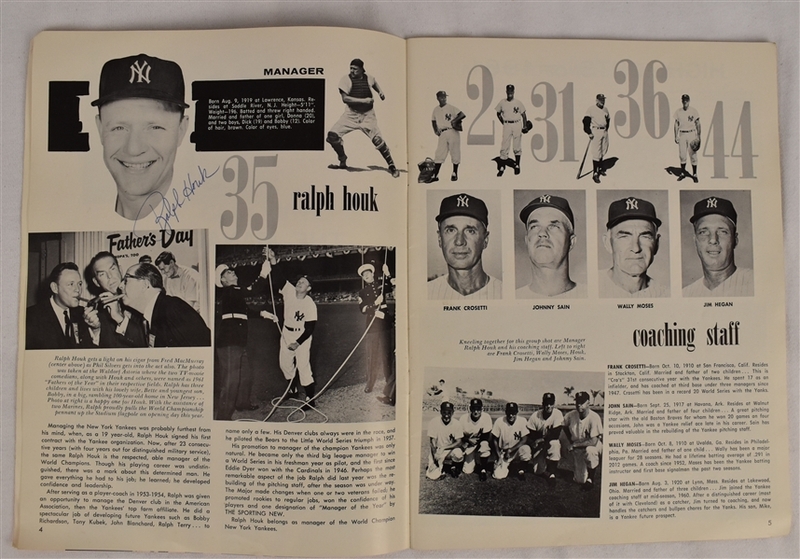 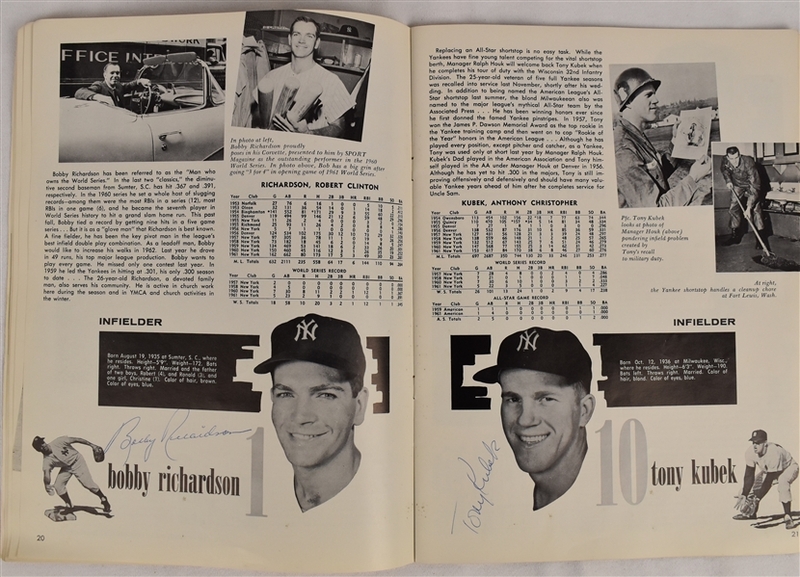 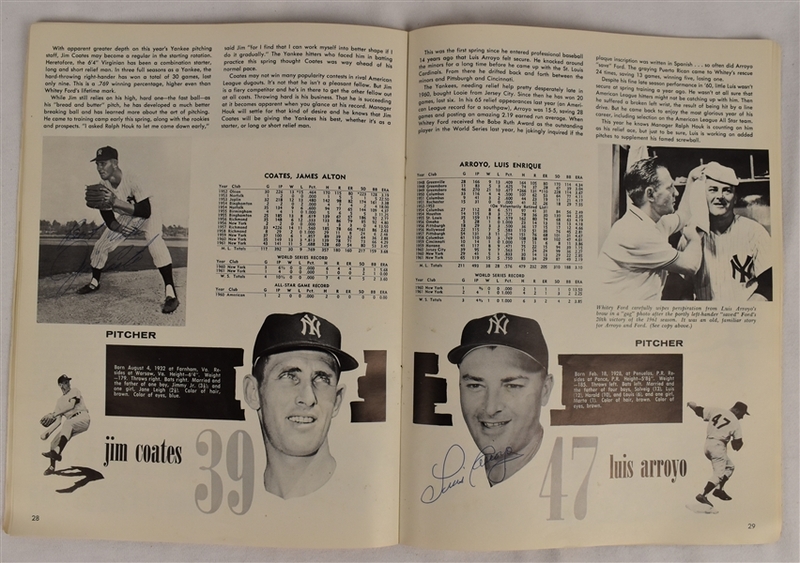 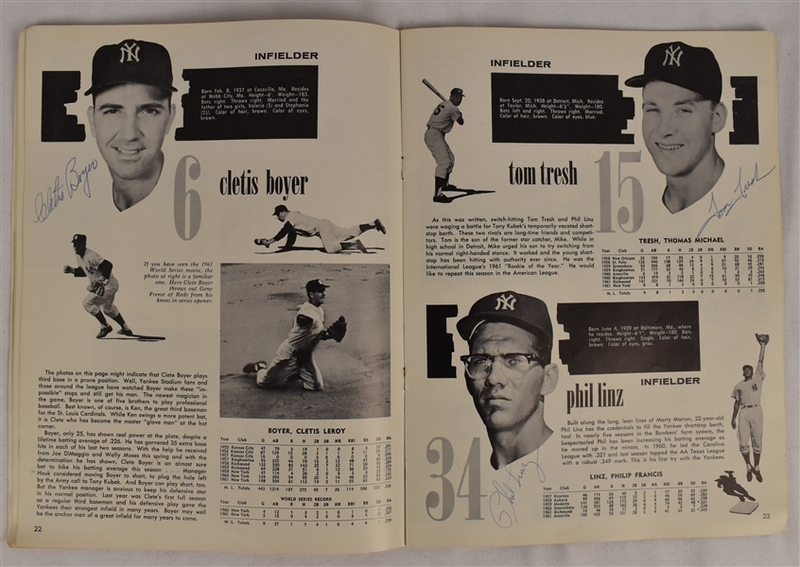 This lot features a 1962 New York Yankees World Championship team signed yearbook. 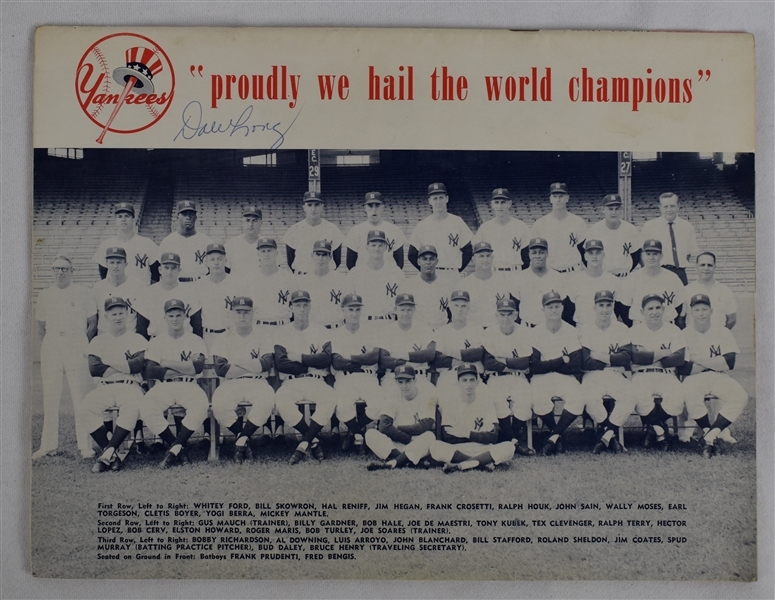 This amazing collectible Yankee item has been extensively signed by 30 members of the 1962 Championship team. 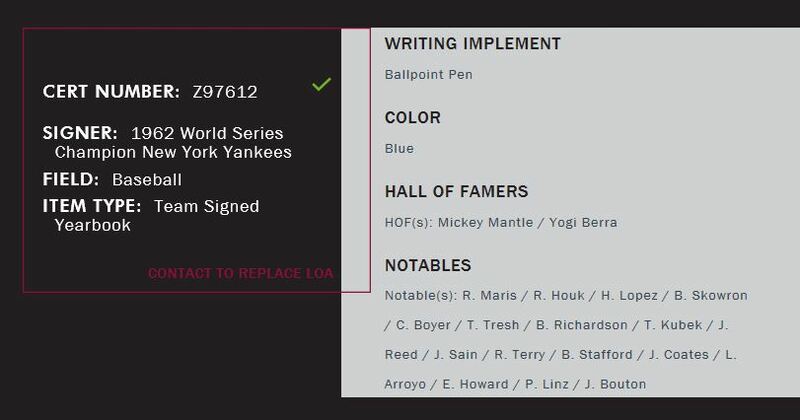 Signatures include: Mickey Mantle, Roger Maris, Yogi Berra, Elston Howard, Bobby Richardson, Tony Kubek, Clete Boyer, Tom Tresh, Ralph Terry, Dale Long, Ralph Houk, Hector Lopez, Moose Skowron, Phil Linz, Bill Stafford, Jim Coates, Luis Arroyo, Bud Daley, Roland Sheldon, Bob Turley, Jim Bouton, Tex Clevenger, Marshall Bridges, Jack Reed, Bruce Henry, Joe Soares and Johnny Blanchard. The Yankees defeated the Willie Mays led Giants in a riveting 7 game World Series. 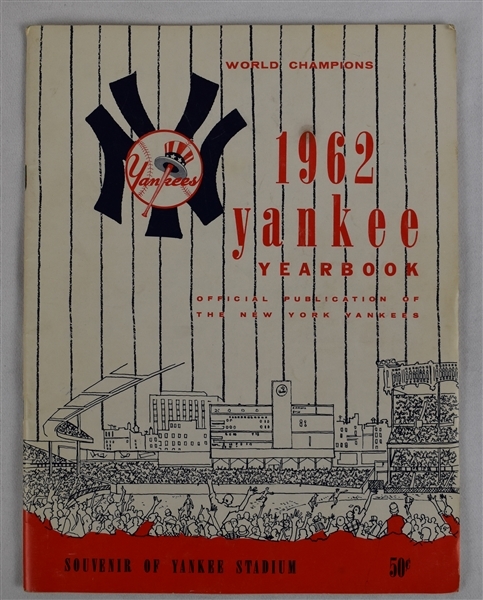 It is best remembered for its dramatic conclusion; with runners on second and third and two out in the bottom of the ninth inning of Game 7, Hall-of-Famer Willie McCovey hit an exceptionally hard line drive that was caught by second baseman Bobby Richardson to preserve a one-run victory for the Yankees. The signatures on this amazing treasure were acquired by the Minnesota Twins 1962 bat boy as he had the foresight to realize what a great team this was. Accompanied by a full JSA/James Spence Authentication Letter of Authenticity.